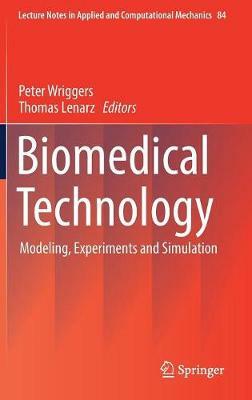 This book provides an overview of new mathematical models, computational simulations and experimental tests in the field of biomedical technology, and covers a wide range of current research and challenges. The first part focuses on the virtual environment used to study biological systems at different scales and under multiphysics conditions. In turn, the second part is devoted to modeling and computational approaches in the field of cardiovascular medicine, e.g. simulation of turbulence in cardiovascular flow, modeling of artificial textile-reinforced heart valves, and new strategies for reducing the computational cost in the fluid-structure interaction modeling of hemodynamics. The book's last three parts address experimental observations, numerical tests, computational simulations, and multiscale modeling approaches to dentistry, orthopedics and otology. Written by leading experts, the book reflects the remarkable advances that have been made in the field of medicine, the life sciences, engineering and computational mechanics over the past decade, and summarizes essential tools and methods (such as virtual prototyping of medical devices, advances in medical imaging, high-performance computing and new experimental test devices) to enhance medical decision-making processes and refine implant design. The contents build upon the International Conference on Biomedical Technology 2015 (ICTB 2015), the second ECCOMAS thematic conference on Biomedical Engineering, held in Hannover, Germany in October 2015.